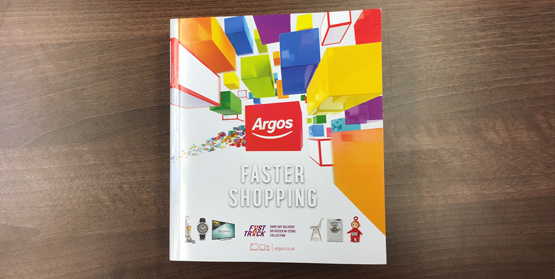 A lot of the work we do at Pelling Design is Business-to-Business with the odd foray into the consumer market so it was nice to see not one, but 2 pieces of our lovely design work in the latest Argos catalogue. Argos pages are a unique design challenge, with often a lot to say with very little space. Striking a balance with text and imagery / product photography is key whilst ensuring whatever you do is eye-catching and informative to the consumer in equal measure. I think our design team has struck a great balance here – check them out. 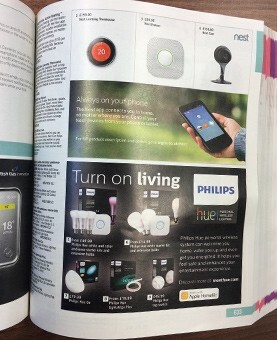 Philips Hue is a fantastic, innovative and popular product. Conveying just how unique and intuitive it is can be tough at the best of times, never mind without any room to express these points. Despite the lack of space, with clever typography, great copy and out of the box packaging shots we have managed to convey all the key messages effectively and succinctly. 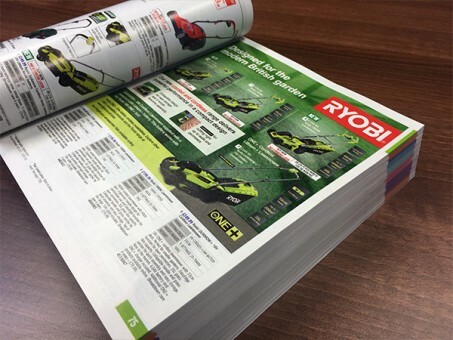 RYOBI are one of our newest clients and designing this page was not only fun, but also a good learning curve for our design team. It helped us quickly get to grips with the full product range, product benefits and their unique selling points. With some heavy photo manipulation and Photoshop work (along with carefully considered typography and image placement) we managed to create an attention grabbing page with a rather unique and very British design. In both these cases function definitely comes before form, but that does not mean your design should suffer. You do not have to sacrifice either if the job is done correctly.